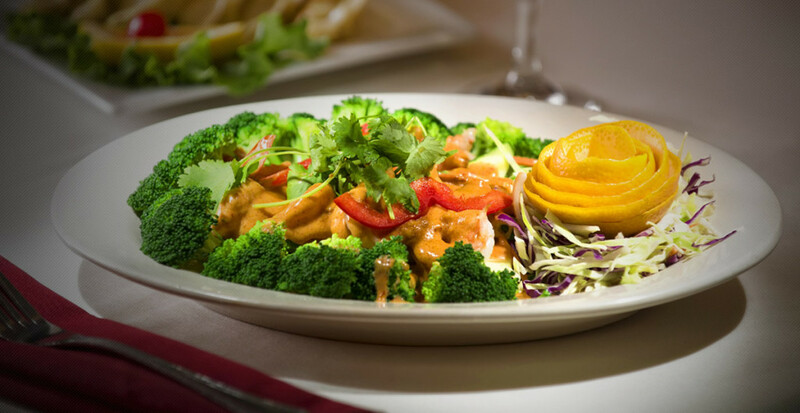 Grilled strips of chicken breast marinated with yellow curry & coconut. 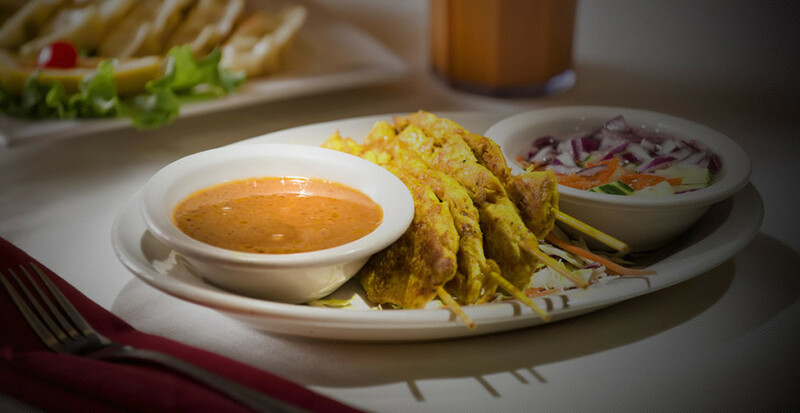 Served with peanut sauce & cucumber salad. 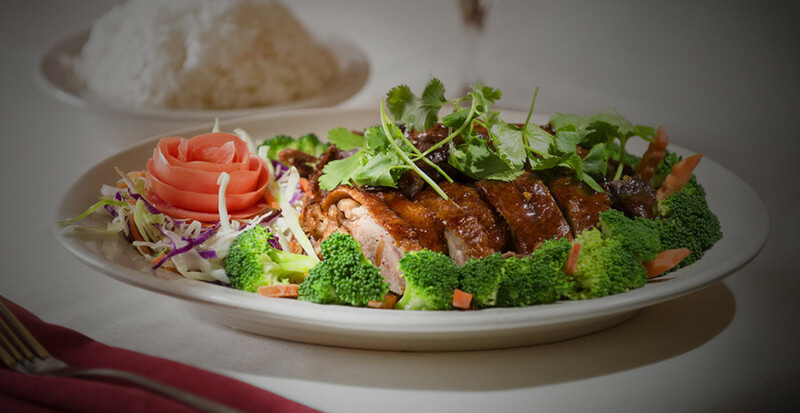 Boneless ½ duck marinated with aromatic sauce & roasted, served with a bed of broccoli, carrots & spinach topped with ginger sauce. 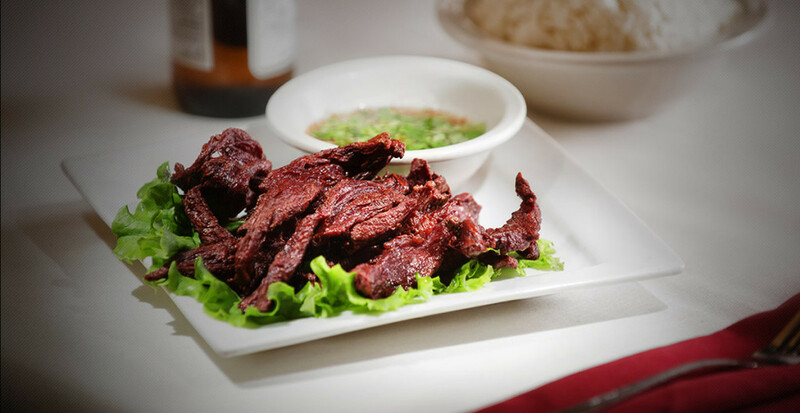 Thai style deep fried beef jerky & served with mild chili cilantro sauce. 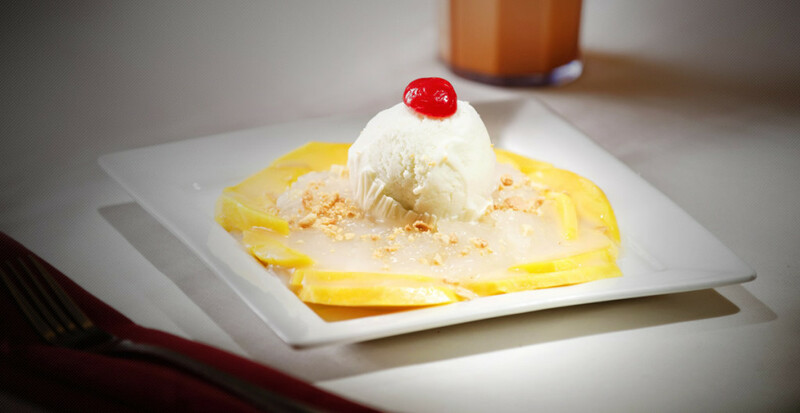 Homemade coconut ice cream, sticky rice and mangoes topped with a homemade coconut syrup and ground peanuts. Grilled Shrimp on a bed of broccoli, carrots, and zucchini. Then topped with a creamy coconut garlic sauce. 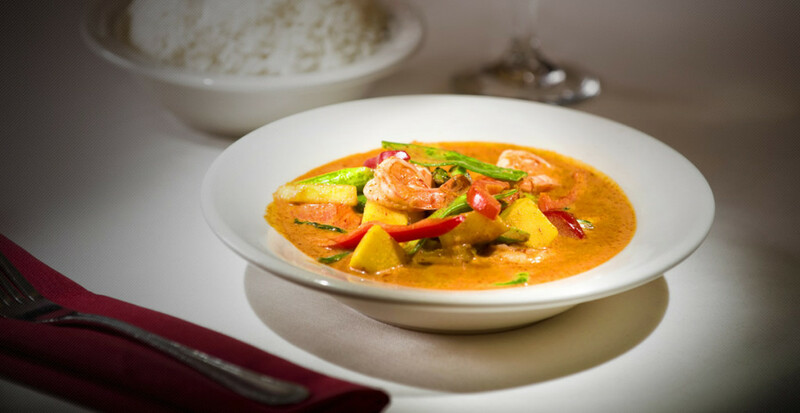 Simmered coconut milk with red curry, snow peas, asparagus, mangoes, & red bell peppers. If you are planning an event or would like to inquire about our specific services, call 479-251-1800 or fill out the form and we will be in touch shortly! Copy © . 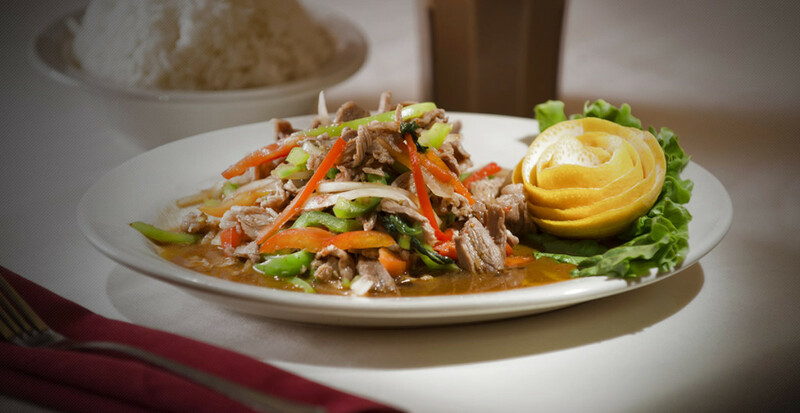 Orignal Taste of Thai. All Right Reserved.